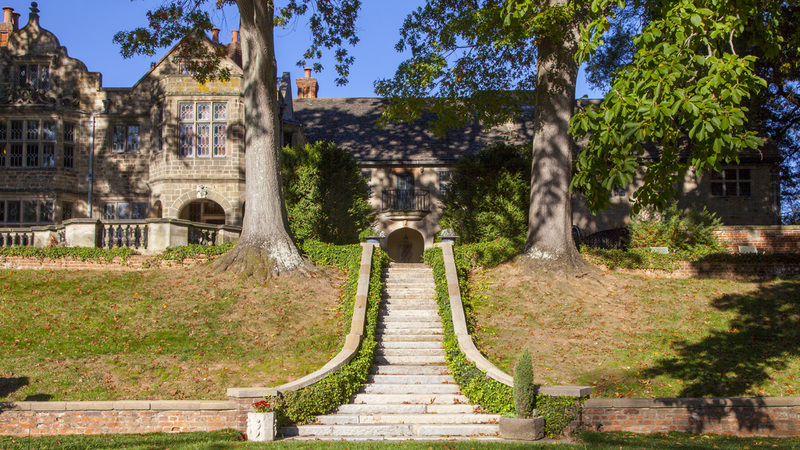 Completed in 1928 for diplomat Alexander Weddell and his wife Virginia, this asymmetrical stone mansion is a composite of three distinct historic buildings interwoven by architect Henry Morse. 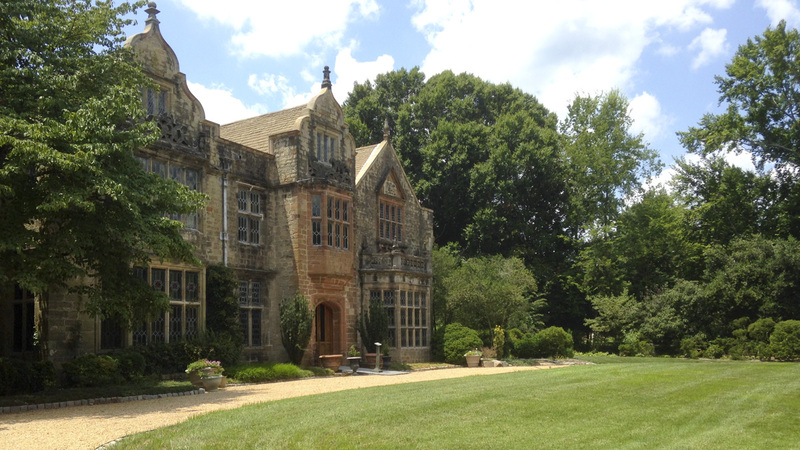 Adding their one-acre, steeply sloped property to the historicist Windsor Farms subdivision, the Weddells imported from England (under great controversy) weathered materials from Warwick Priory, a manor constructed in 1552. 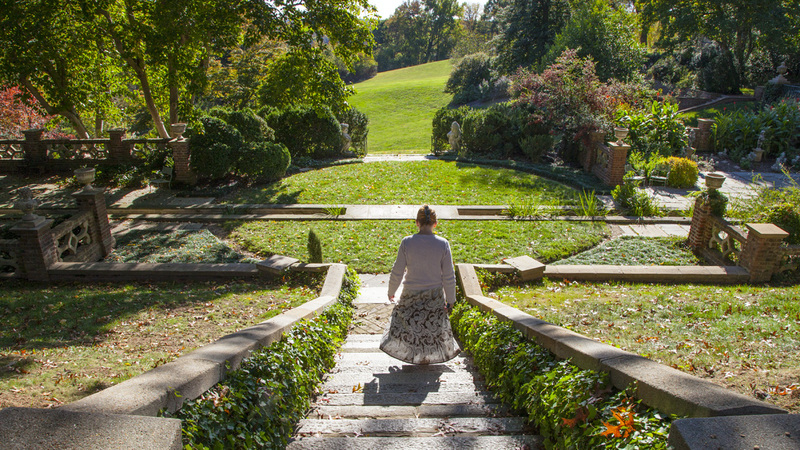 Modeling their house on George Washington’s ancestral home, the couple offered a portion of the house to serve as a library for the Virginia Historical Society. 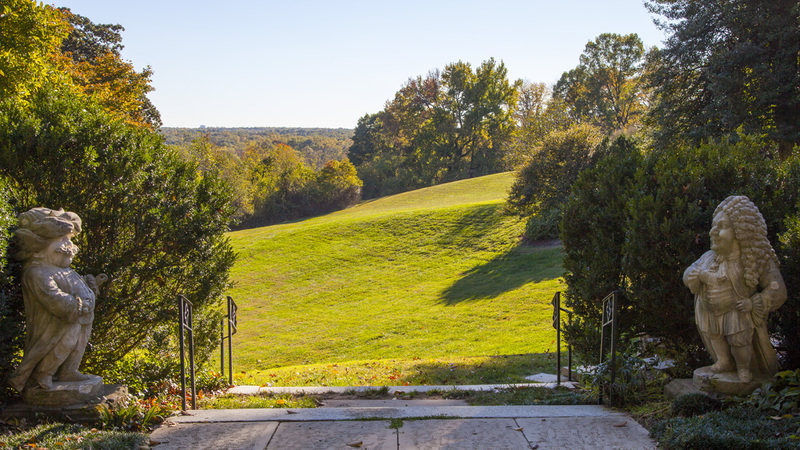 In 1939, the Weddells added an additional eight acres between their house and the James River. 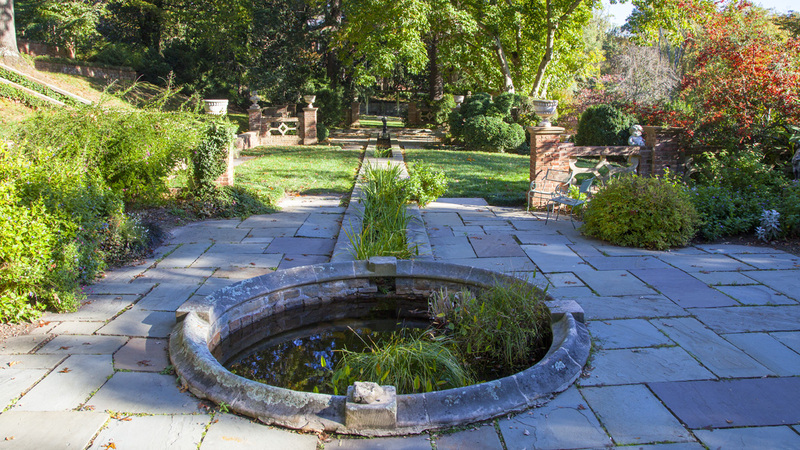 Charles Gillette, commissioned in 1927 to design gardens surrounding the house, continued his work there through the 1940s. 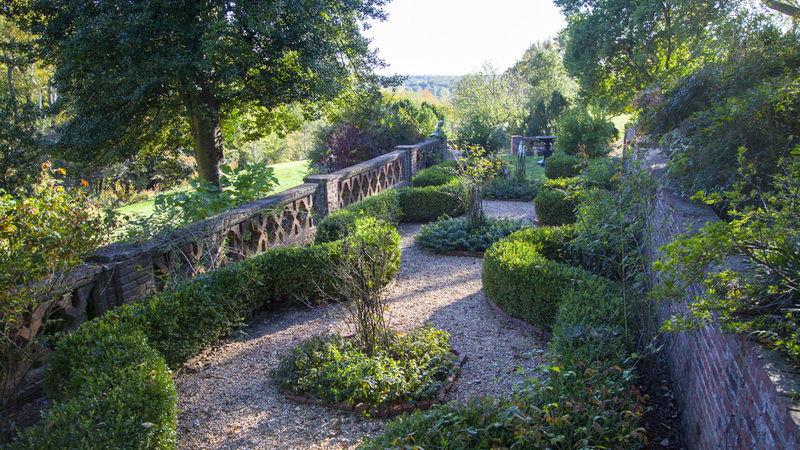 From Sulgrave Road, the property is accessed through stone piers and a gate opening upon a small lawn ornamented with boxwood. 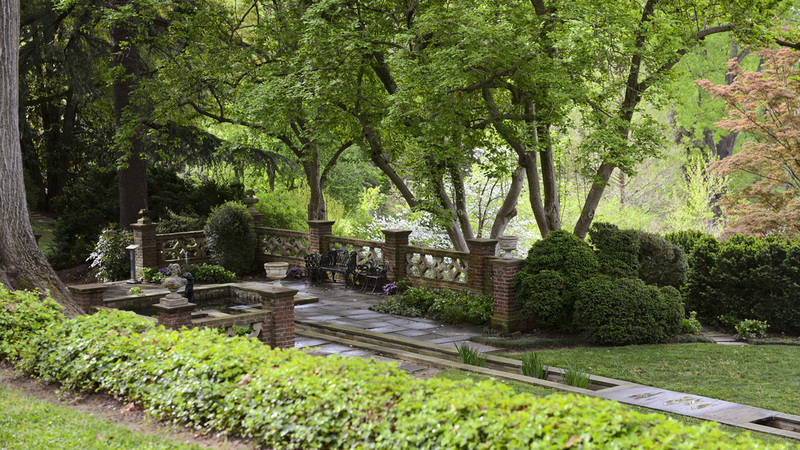 Flanked by a loggia, a towering hedge encloses a rectangular pool, flower beds, and four Gothic columns. 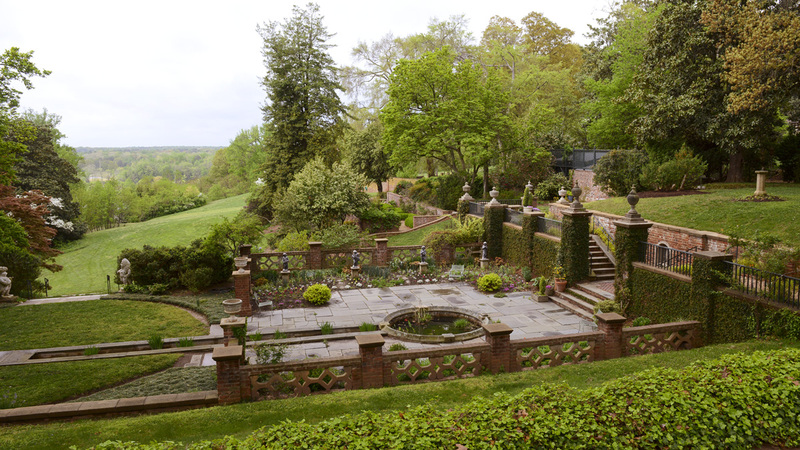 In 1932, on the terrace below the house, Gillette added two pools connected by a runnel on counter-axis with the upper gardens. 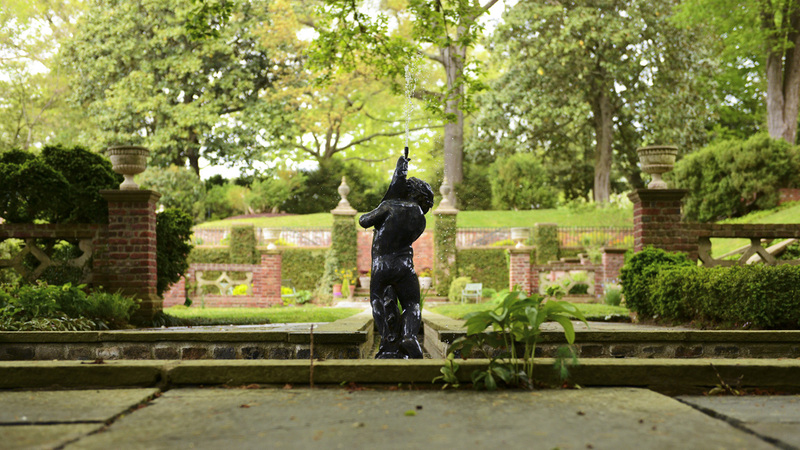 One pool features a sculpture of a boy and dolphin while the other is enclosed by a flagstone patio. 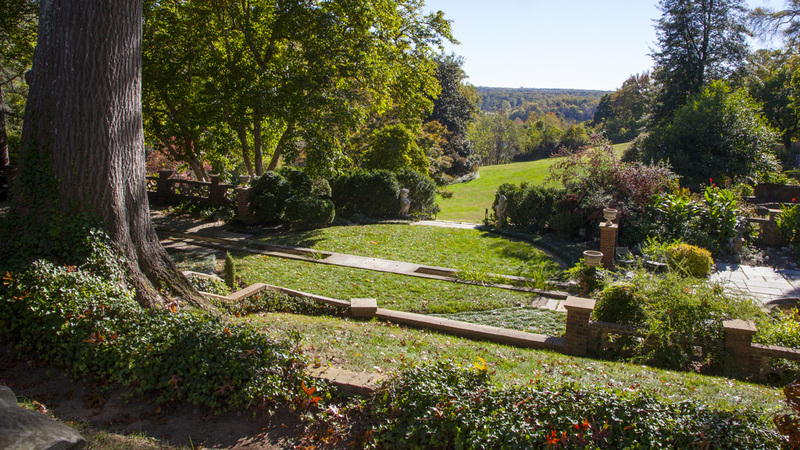 This central axis is flanked by gardens with tall trees framing views of the river. 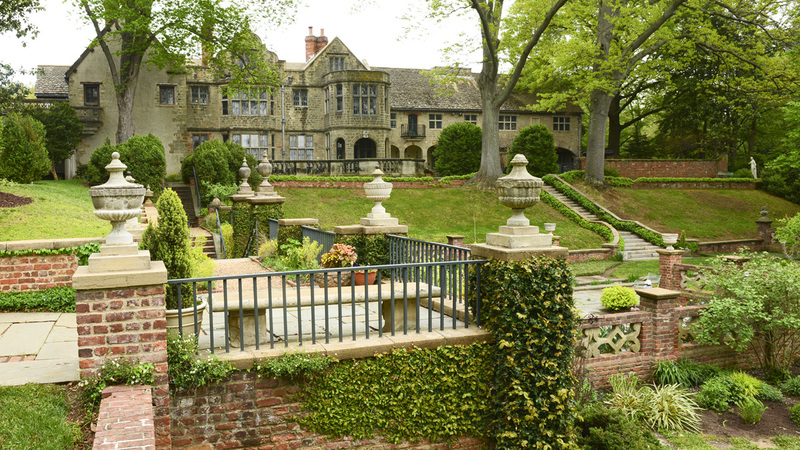 Brick retaining walls enclose crushed stone walkways punctuated by circular beds of azaleas and roses and edged by a serpentine boxwood border. 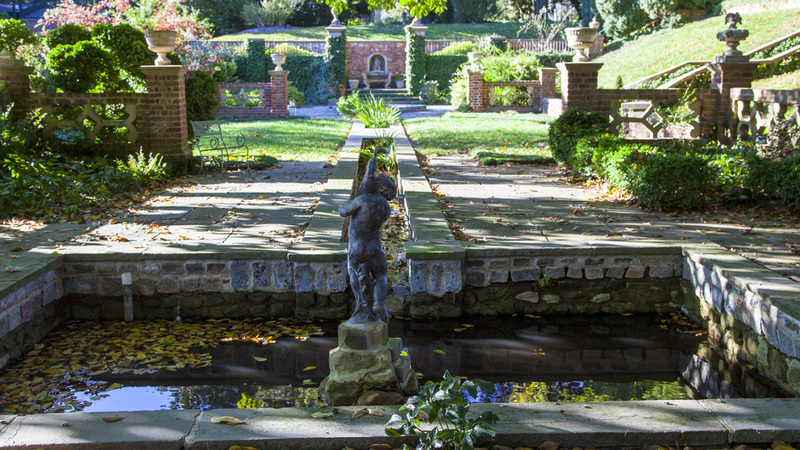 Upon the Weddells unexpected death in 1948, the estate became property of the Virginia Historical Society and was listed on the National Register of Historic Places in 1990.